Fill out our health and fitness form, and have our trainer and qualified Physiotherapist discuss the best training option for you. Hi, my name is Amy Laurie and I am the Fit Mums Trainer here at Moonee Valley Health and Fitness. I am a Mum to my beautiful daughter Hannah and a registered physiotherpist that specialises in Pilates and Women’s Health Physiotherapy. Boost a mother’s immune-system which continues to benefit her baby after birth through breastfeeding. More efficiently deliver blood and oxygen to the heart and brain, enhancing concentration and energy-levels. Help to manage or prevent gestational diabetes. More effectively control weight gain, which – in addition to physical benefits – enhances body image, confidence, and self-awareness. Improve posture, resulting in fewer aches and pains. Reduce stress, anxiety, and insomnia, leading to an overall improvement in sleeping patterns and mood balance. A larger placenta develops, which increases the capacity to exchange oxygen, CO2 and nutrients with the growing baby. Increase the cardiovascular capacity of the baby. An easier adaptation to the lower-intensity endurance component of early labor. Shorter first and second stages of labor. Increased stamina for labor and delivery, with less perceived exertion during labor. Lower incidences of intervention during labor. Good pelvic muscle tone – helpful for postpartum recovery and good continence health. Core Strength: for pregnant women, strengthening their core muscles, including their pelvic floor, has become highly important in recent years. Back ache, postural problems, continence and general recovery after birth can all be made far more manageable by keeping both your core and pelvic floor strong. Attending group pregnancy exercise classes, taking pre-natal Pilates/Yoga classes, or hiring a personal trainer to guide you through the correct movements will all help with developing and maintaining a woman’s core strength throughout her pregnancy. Lower Body Strength: during pregnancy a woman naturally gains weight – not only are they carrying a growing human being but they often retain more fluid due to increased blood flow within the body. This means their body will become heavier and by the end of the last trimester, on average, a healthy , pregnant woman will have gained 12.5-15kg. As a result a woman’s legs, lower back and buttockl muscles will all get more of a workout sitting down, standing up and just moving around on a day basis and so it is important to continue to stimulate and strengthen these muscles to ensure they cope with this increased load. Many women also find that during labor they prefer to be up, moving around, changing positions and sometimes even squatting. So to ensure their bodies can cope with these activities during labor, lower body strength should be a priority during pregnancy. Once the baby arrives, a mother will be doing lots of lifting from awkward angles, getting up and down from the floor and carrying a capsule around, so along with a strong core, they’ll need to learn to lift with their legs to protect their back. There are many versions of body weight squats, Fitball squats, and lunges a woman can do to increase strength their lower body during this time. Upper Body Strength: adding to a woman’s weight gain during pregnancy is her growing bust and so does the pressure on their postural muscles in their mid back, neck and shoulders. Also once the baby arrives, holding, breastfeeding and lifting use a surprising amount of upper body strength. Women are encouraged to continue working on their upper body strength and posture to ensure they don’t develop neck and upper back pain once the baby arrives. Postural work with hand weights like press ups, bicep curls, seated rows, and challenging movements incorporating a Fitball can really help make you more able to cope. Controlling Weight Gain: pregnant ladies are to remember weight gain is NORMAL during pregnancy, so don’t stress about every kilo! But keeping a healthy weight is important for their health and the baby’s and the less you put on the easier it is to lose post birth. Cardiovascular exercises such as walking, riding a stationary bike, swimming and low impact aerobics can assist with controlling a woman’s weight gain and ensuring their heart and lung remain healthy throughout the pregnancy, which will benefit their babies health as well and assist them during labor. Regular exercise and physical activity can help a woman feel more energetic, sleep better and cope with the many unexpected changes and emotions felt during pregnancy. It’s recommended to seek professional guidance, either in a class situation, or one on one from a personal trainer trained in women’s health or a physiotherapist to help guide you in the right direction and make sure your technique is correct and safe. 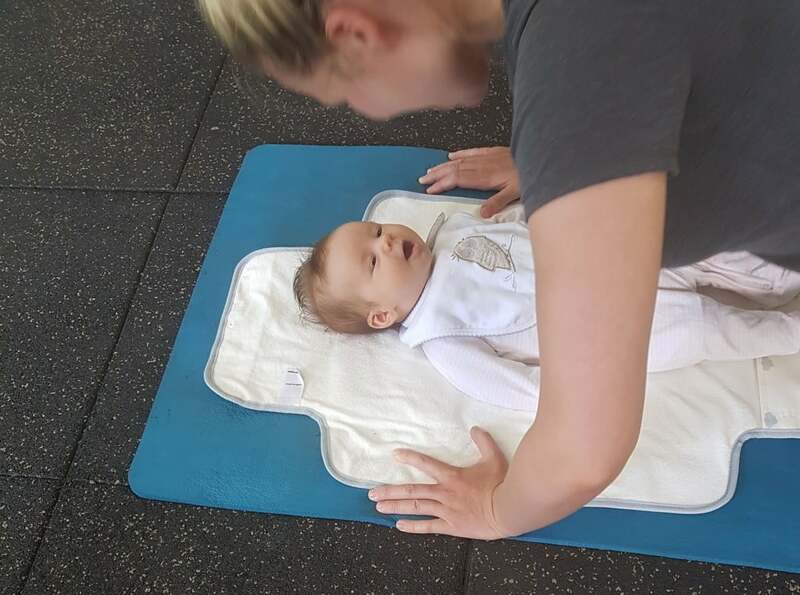 At Moonee Valley Health and Fitness, Amy, a qualified physiotherapist, offers a great range of exercise and fitness classes and 1:1 sessions designed to meet the changing needs of women’s bodies during and after pregnancy. Our small class sizes give you the opportunity to enjoy regular exercise with friends in a professional, fun and supportive environment. During our Postnatal Fitness Classes, exercise with your baby to help aid recovery from childbirth and prepare for the physical demands of motherhood. There is often a lot of confusion around when to start exercising after the birth of your baby, as well as what type of exercise is okay and at what intensity. The postnatal period, or approximately the year following delivery is a time where special consideration is required when commencing exercise. There are many situations and conditions that require exercise modification in the early weeks or months following delivery, as every woman will have had a different pregnancy and birthing experience. When embarking on a return to exercise, the goal for every woman should be to ensure a healthy body and smooth recovery following delivery. First and foremost, a woman must receive clearance from her midwife and obstetrician that she is safe and ready to return to exercise. From here, she can commence a gentle exercise program under the guidance of a highly experienced physiotherapist/exercise physiologist who works in women’s health. What should you be doing in the early stages? Postnatal exercise programs in the early days and weeks should include mobility exercises, deep abdominal (core) exercises and of course pelvic floor exercises. 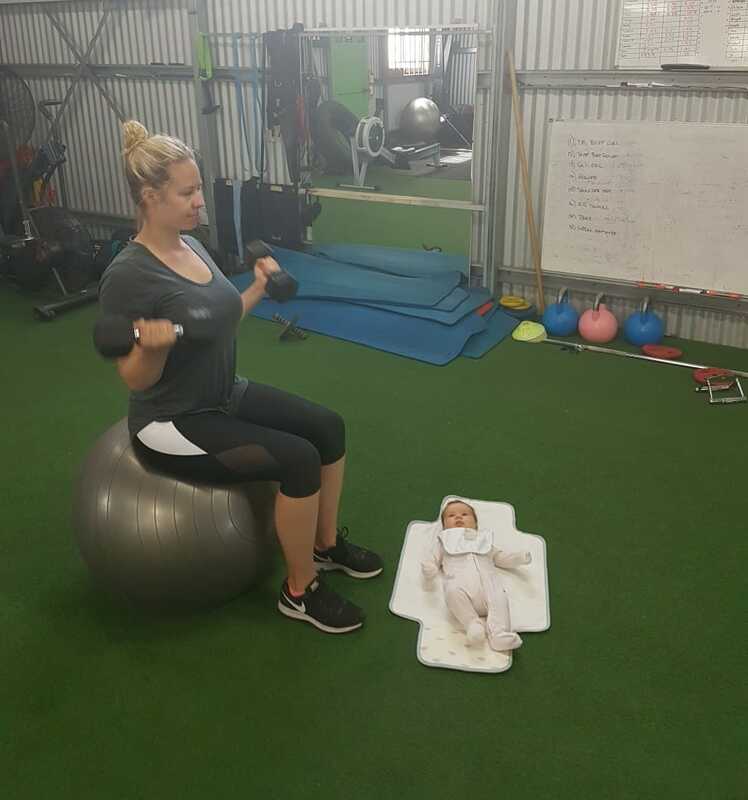 At Moonee Valley Health and Fitness (MVFIT) we encourage women to prioritise and incorporate health and fitness early in their motherhood journey. The benefits of exercising in motherhood are well known – not only the physical benefits (posture, core, pelvic floor, neck and back health) but also for mental and emotional well-being. Pelvic Floor and deep abdominal exercises can usually start within a few days of delivery together with a slow return to walking over the first few weeks. However, the first 6 weeks is really about rest, allowing your body to recover and for a woman to enjoy her new baby. Returning to quickly to exercise can certainly lead to issues. This is why we urge new mums to return to exercise gradually. At approximately 6 weeks, with clearance from your midwife and doctor you can progress from gentle core exercises and walking to gentle resistance / weight exercises and low impact cardio options (e.g. a stationary bike). The recommendations for returning to running and high impact exercise is a minimum of 3-6 months, again depending on your delivery and recovery thus far. The reason being is that you must allow for your abdominal and pelvic floor muscles to repair adequately to support you during more intense forms of exercise. A women’s Health Physio can assess you and give you more specific guidelines and preparation exercises depending on your goals. At MVFIT, we want congratulate all the pregnant women and new mums out there, this truly is such a special and exciting time in your life. We hope this has given you greater clarity when making healthy exercise choices. Stay fit and active during pregnancy and motherhood with exercise classes and/or personalised programs designed specifically for your changing body. Our sessions are run by a qualified womens health physiotherapist. In recent years there has been a shift in the opinion of medical and health staff regarding the presence of exercise during pregnancy, with obstetricians and midwives now encouraging women to maintain a safe, active lifestyle while pregnant. As long as there are no pre-existing conditions keeping you from safe and controlled exercise (discuss this with your doctor), then you should endeavour to remain active for as much of your pregnancy as possible.